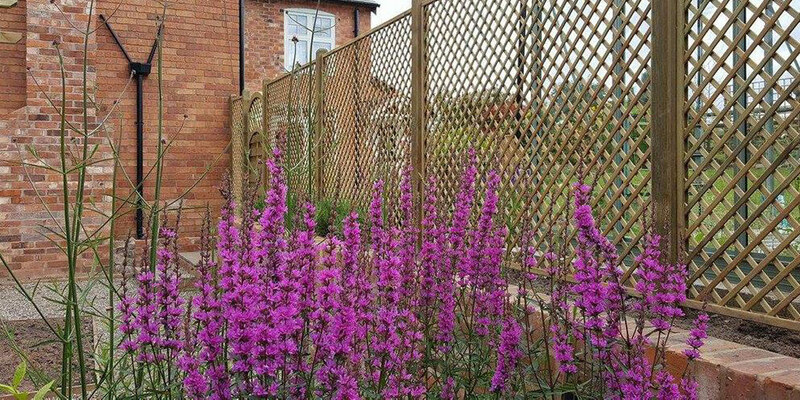 If you're looking to update your fencing but aren't sure where to start, take a look at some of the wonderful feedback we've received from our customers. Want to know more about Ringwood Fencing? Get in touch or call us on 01829 740 136 to speak to a member of our team. Thank you John for your help and patience with a cheery smile! Also thank you to the fitter. I don't know his name but he has done a wonderful job and was very tidy and really friendly. Both a credit to your company! The fence is better than the original! The fencer, Hank, was just the kind of person I would like to find for all the jobs I ever need doing. I am entirely satisfied by the job from start to finish. Fencers were really pleasant, helpful, tidy and stoical in the presence of dreadful weather. They explained all that they did clearly and helpfully. We are very pleased with everything from the initial site visit and recommendation of the type of gates and fittings. Really pleased with our finished gates. The fitter took his time to ensure everything was spot on and went to the trouble of repositioning one of the gate posts as it wasn’t quite right. Very respectful when working on site and left everything tidy. Ringwood had already done gates to my drive,footpath and 2 gates to the rear of my house. The drive gatepost came lose as it had been fixed to a brick wall so it was decided that it would be better to cement it into the ground, the fencer did an excellent job and was very efficient he cleaned up after he’d finished and he was very polite. I would like to thank him for doing such a superb job. Ringwood aren’t the cheapest but do a first class job. An excellent service from start to finish. The completed work was to a very high standard and materials used were first class. Not the cheapest on the market but you get what you pay for. Jose was particularly careful and meticulous in his work during the fitting of our gates and consulted us as necessary. Excellent. John was great, nothing was too much trouble and always willing to help and even took the time to speak to my difficult neighbours. The people who fitted our fence and gates were great too, very friendly and did a great job. Even humouring our neighbour who wanted them to use a homemade measuring stick!! Jose did a great job really pleased with the result. Very pleased with fence! Fitter was friendly, efficient and took care to make sure everything matched our requirements. Your fencer in particular was excellent. A very hard worker, professional, accurate and tidy. Just fantastic! Quality products and solid gold service. Great all round service from a quality local business. We have previously used Ringwood for fence panels at this property (just made, we fitted) as well as new fencing including fitting at another property. On all occasions the items have been of a high quality and when they have been installed by Ringwood we have been more than happy with the standard of the work and the attitude of the installers. In fact our front was tidier after they left than it was on their arrival! Obviously my bribery of tea and coffee worked!! Ringwood fencing is a good company to deal with from start to finish. The fencing crew were very obliging and did a very good job, leaving the work site clean and tidy. Excellent job with friendly, courteous fencers on-site keen to do a good job with attention to detail a priority. Very competent & friendly colleague who carried out the work. He checked before starting exactly what I was wanting to achieve & he did an excellent job. Thank you ! Gates look fabulous, and public have commented about these. Many Thanks. Very pleased with the work carried out, it makes my garden look a lot tidier now. The two men that came to do the job were friendly and did a good clean job, leaving no mess at all. The Fencer, Paul Newman, kept us informed through the course of the work. When the work was finished he took us round to see if there was anything we were not happy with. We couldn't fault his workmanship. We are very pleased with the result. Always very pleased with the service and products from Ringwood. Other than having a bit of a waiting list Ringwood did a cracking job of replacing a rotten gate post. The two man fitting team were efficient courteous and speedy. Very pleased with whole job from start to finish. You could see fencers rook pride in their work. Had to wait a little longer than thought for fence to be fitted but was worth it. Excellent Quality. Already arranged more fencing to be put up in another area in the garden. The team of Neil and Ben were very good as they confirmed areas of the job that needed our approval. very good workmanship throughout the day. Very satisfied with the completed job. Friendly local company. Easy to deal with & very helpful. Very happy with every aspect of the job, very happy to leave them to it. A very proffessional team. Did the job a million times better than if I had attempted it. I was very pleased with the installation and would use Ringwood again. Jose my fencer was a charming efficient and good workman with a excellent work attitude. Costs more than other fencing providers, but you generally get what you pay for, which in this case is an excellent solid installation and a professional attitude by all involved - a breath of fresh air compared with the bish-bash-bosh approach one encounters nowadays. A good job that was expertly carried out ,and I would most certainly use the company again and have no problem in recommending them to my friends and family. Lee and David were a credit to the company. Lee made sure I was involved with any decisions that would affect the look of the completed fence. Delighted with the new fence, thanks. Great local company that uses quality products and tradesmen who are experienced and efficient. Job well done! The whole process was excellent and the fitter was very professional and delivered outstanding service - we are delighted with the gate and with how we have been supported throughout the whole process. Ross was courteous and proficient and I am very pleased with the gate. Another superb job managed and completed by Andrew and Liam respectively..the second job I’ve had done by Ringwood and an equally superb job. Very Happy with work. The men were very good. quick. On the whole the job was excellently completed and the front gates do finish off the look of our house. These are value for money and complement the gate which we had installed a few years ago. The type of fence I ordered is fairly unusual, I’ve only seen it at one other property. Good, thick, sturdy wood, built to last, and looks classy. Sales team were very helpful at Ringwood shop in Tarvin. Estimation and ground check was great. And the final installation was very professionally done by the excellent Ross, who is an asset to the business. Thanks for a great job, I will be recommending Ringwood to others, and I am sure other people in the area will be asking where this great fencing came from. I am seriously impressed. From beginning to end I have nothing but compliments for everyone involved - Andrew has undertaken two estimates ( second job yet to be done) and has been prompt, courteous and professional. Lee and Dave worked tirelessly in the heat and have done a first rate job, leaving the site immaculate. Well done Ringwood and please give my compliments to all involved.I just wish other companies could learn from you!! Did exactly what it said on the tin and your two fitters were genuinely nice guys! Excellent service from all Ringwood workers. Another excellent job with first class service. The 2 men that came on the day arrived slightly early which was fine as I was expecting them, they were both polite, everything was done to the very high standards that you get with Ringwood. An excellent job that matches previous work done by Ringwood. We would have no hesitation in recommending them for the work they do. Looks great, a pleasure to do business with and very professional. Ringwood fencing are a very professional team who provide an efficient service and high quality workmanship and products. Love my gate and fence. Extremely satisfied with the job. Very Very satisfied. Looks absolutely wonderful and very friendly helpful tidy fitters. Left no mess at all apart from muddy pathways due to wet weather. Felt very sorry for them working in the rain. PLEASE GIVE THEM A VERY BIG THANK YOU. A highly efficient and quality service provided by Ringwood I'd defintely use again. Absolutely excellent from start to finish. As I said to John N (our estimator) even the Ringwood business cards are substantial and of excellent quality - just like the fencing. Our fence was installed 10 years ago and needed some repairs after sitting under trees in a dark and wet part of the garden. This recent work will ensure we will continue to have superior fencing for many years to come! Excellent service throughout. Alex was extremely polite and walked and talked us through everything when needed. He worked extremely hard through ever changing weather and the gate and fence look amazing. Thanks for completing the work ahead of time. Lovely result. Excellent service - Very professional - Tidy job recommended. Despite horrible weather, completed quickly & efficiently. Very pleased overall with service - Job well done. You were very accommodating - Fitting us in ahead of schedule, which was very much appreciated. This is the third fencing contract we have had with Ringwood - We are delighted with the quality of the products, installation & service; why would I go anywhere else?! Very satisfied with the service from start to completion. We are very pleased with the whole service provided. The somerset gate is a quality product. Thank you. Very professional from my first contact to completion; Polite, on time, very pleased with my new fence. Even a last minute design change was no trouble at all. I will be asking Ringwood to quote for many more jobs in the future and recommend Ringwood to my friends, family and work colleagues. Thank you Ross and Andrew. We would recommend Ringwood Fencing to anyone who wanted a good strong fence. The fencers were very helpful. Excellent work. Excellent work by Lee & Neil. Liam & David were very reliable and did an excellent job. I was out when they finished the work but I knew, on my return, the work would be perfect, it was. Excellent service - Alex was supurb, explaining the process & discussing any concerns regarding the fitting of the gate - very professional. Thank you. Many thanks and thank you for your flexibility. Good overall service. Had to wait a few months for installation of gate, but worth the wait. Many thanks for the great job done by all the team! Excellent, professional service - End result was all we had hoped for. Thank you very much for an excellent job. Thank you for supplying an excellent new gate for my property. I am delighted with your service. Pleased with job. Would like to have been able to be completed sooner but worth it in the end. Had to wait several months between quote and starting work but work was completed quickly and to a very high standard. All visitors to house since work was completed have commented on how well the fencing looks. V pleased with end result. Very pleased with completed job. Reliable product and service. Very satisfied with end result. Thank you. Very pleasant workmen willing to discuss any issues relating to erection of fence, very accommodating, careful with plants & shrubs. The final fence was so much better than we expected - Thank you!! I am really pleased with my new fence & gate. The fencer explained well the problem with fitting my gate in relation to the drainpipe and managed to solve the problem. I appreciated John calling me to check I was happy with the solution. Ringwood Fencing provides an extremely high quality service. From initial contact to completion of the job, I was met with superb courtesy, care and consideration. Competitive price , excellent product, brilliant! I will recommend Ringwood to others unreservedly. Very good service, extremely pleased with result. Given the difficulties of supply & demand of fencing panels the job was actually completed ahead of originally agreed time frame and we were impressed with the attention to detail and also much more importantly for us was the tidiness of the work throughout. Everything about the contract was excellent. Hard working Team. Satisfied from start to finish. A highly efficient service was provided. The fencer was skilled & paid attention to detail. The site was left spotless. Would definitely recommend Ringwood Fencing. Both men worked hard and did an excellent job. They left the area tidy and even took away an old fence panel which had nothing to do with the work I asked them to do. Thank you to the team at Ringwood who worked so hard to get our new fence just right. We are extremely please with it and it will make spending time in our garden so much more enjoyable. Excellent service by John. Also the person that fitted the gates was so professional at his job; very efficient and did not stop for any breaks what so ever, even when given a cup of tea. Excellent service all through. Have used Ringwood now on three occasions and would have no hesitation in using again. Staff both in shop and fitting a pleasure to work with and do an excellent job altogether. Staff amazing and could solve problems on the job. Fencing perfect for keeping my puppy safe and I am still able to enjoy my mature garden. Many Thanks. Excellent job thanks. Long waiting list though (but worth waiting for). The 2 guys whom installed the gates & fencing were exceptional. A credit to Ringwood Fencing. Did feel that job was on the expensive side, but having seen the graft to install it over the 3.5 days, glad we did. Finished fence & gates look superb. Many Thanks. Very pleased with the work carried out by a professional and friendly team from Ringwood Fencing. Would highly recommend. We had quite a lot of new fencing requirements and we couldn't be more pleased with the whole job. Lee was really professional, very pleasant and did a great job. Thank you! Initially recommended to me on 2011, I have now employed Ringwood Fencing on three separate occasions and would not hesitate to recommend them to others or use them again in the future. The work was carried out on time. Everyone was friendly & helpful. All my plants were intact after the fence was removed. Really pleased with end result. From the first contact and subsequent site visit, to the excellent completion of our job, we have been extremely impressed by their professionalism and quality of work. Efficient job and very accommodating to a couple of last minute alterations. Faultless service from beginning to end. Excellent Job. Would not hesitate to recommend to friends & family. Good Job! We have no complaints about dealing with your company. Your estimator was a pleasure to deal with and the two who did the job worked well and not an easy place to fence! Pleased with the job, really good service from initial estimate to job being done. Fencer really nice guy, just got on with the job. Fantastic service, thank you so much. Liam was a credit to Ringwood. Lovely to see someone so conscientious & happy in their work. A simple job carried out efficiently and effectively. A very good service and a job well done. Very professional service. Have no hesitation in recommending Ringwood. My gate is lovely, thank you. Your pricing was much better than another supplier, although I did have to wait longer than I expected for the installation. Very Tidy and good job. Liam did an excellent job. He knew what he had to do and the job was done quickly and efficiently. The two men were quiet and polite and I wouldn’t hesitate in getting them to do other work for me in the future. I am pleased with every aspect of this service form Ringwood and would certainly recommend them. A thorough, professional, friendly and stress free experience. Thank you. Professional service from start to finish. Competitively priced. Long lead time initially was the only negative, however we needed that in the end!! Positive experience on a good quality job. Thank you! We were very pleased with Ringwood in preparation & installation, and even a query post work completed. Would definitely recommend. We were very pleased, that’s why we have been using you for the last 20 years. Thank you for your helpful, polite and trusting service. Two great lads. Thanks to them also. Thanks so much for an excellent job, the two guys who did the job were excellent, kept me informed and asked me how I wanted certain things doing. Both guys nice and polite. Very tidy, left no mess. Really good job. I need more fencing next year and will come straight to Ringwood. First class in every aspect. Well done. Thank you to John and the team at Ringwood for the fantastic job. The garden was left so tidy you didn’t know anyone had been digging holes for the posts. The finishing touches by you were really appreciated. Thanks for going the extra mile. Highly delighted with good product. Excellent workmen. Excellent job, the work was completed to a high standard and was just what we wanted. Very pleased. Very neat and tidy. The installer of the fence were the best we have had work done by. They were courteous, friendly, efficient, and did an excellent job. They also left the site very tidy. Thank you for a wonderful job. I’m delighted – it look super. Both John & Lee were very friendly and extremely professional from start to finish. Simon was very good and very helpful. Lee and Adam did an excellent job and I would highly recommend their professional competence and helpfulness. Very pleased with standard of work carried out. The team of fitters completed an excellent job and I would certainly recommend to others. We did not meet the actual installation person, but our neighbours advised he was very pleasant. When we arrived home, the gate had been erected as discussed and everywhere left clean & tidy. Job well done. Thank you. Ringwood were very flexible in helping us to meet moving dates with other contractors. Great Team, great product. We are very pleased with the service and products provided by Ringwood and Team. The products and service are of a very high standard and we would like to thank John and Lee personally for their efficiency and working through some very wet conditions! Installation team were excellent – Punctual, polite, kept me informed about progress and left the area really tidy – Great job done. Great to do business with, very professional, excellent service & product. Delighted with the fencing and workmanship. Liam is an excellent fitter and would highly recommend your company. Thank you John & your team at Ringwood Fencing for a first class job well done. Your team were pleasant , polite and their work ethos and attention to detail, without wanting to sound condescending was truly impressive. I came back to my house to find the old rotten un-opening gate replaced with a robust working one! Your people were most helpful and efficient. Very satisfied with the end result. Good product, service & fitting. Helpful with it all. Thank you. Long wait time but worth it. Good service all round. Both John (Estimator) and Lee (Fencer) friendly & personable. Would recommend. We are very pleased with the gates and fencing. Thank you. The fencers delivered & installed exactly what we ordered. The two workmen were very helpful & very polite. Would recommend you to others. Very good service & workmanship. Courteous, reliable & prompt. Complicated job expertly completed to a top standard. I would recommend Ringwood without hesitation. Very good quality product – thanks. Very pleased with the work carried out. Would highly recommend. Fantastic gate – Thank you. Every step of the way we were treated with courtesy & professionalism. The work on site didn’t disturb us in anyway and the fencers kept us informed throughout. The service and work carried out is superb. Highly recommend. It was the first time for me getting a fence but I would use you again. They got on with the job and were helpful when I asked them anything. They were tidy and left it clean. Thank you. Delighted with the fencing and quality of installation. Excellent service and pleased with the final result. Just what I wanted. Very professional service and a very neat and clean job. Garden all tidied afterwards and all rubbish taken away, and the fence looks great. Great Job – Many Thanks. Thank you to all at Ringwood. Looked at other companies/products. Ringwood were not the cheapest, but having seen the quality of product with competitors, Ringwood was superior. This was confirmed when fencing/gate arrived and I knew I had chosen correctly. Will use them again for further work. The team proved to be highly competent at their job. They were excellent communicators and were a pleasure to have on site. Keep up the good work. Very good estimate & price. Liam the fencer was very polite and did very good job. All staff very friendly & did a really good job. Very satisfied with the end result. Excellent job installing fence & gate, plus, excellent product. Thanks. Very substantial fencing at a fair price and erected by a friendly team. Delighted with the level of detail put into the job from start to finish. Love the gate! Thank you. Absolutely amazing. Very, very pleased. Pleased that you were able to fit us in as a small job. Great job. Your fencer was very pleasant and polite, at the end tidied up & closed all the gates. Very pleased. John Nunnerley kept us informed on the lead up time to the job. The installation team were excellent – proficient, polite & hardworking. All in all a great job. I was very impressed by both John & Simon – very friendly and professional. I was really impressed by the professionalism & quality of the work, and no mess left! I was very impressed with Ringwood & their staff. The fencer & his assistant worked through some atrocious weather & did a great job. The guys arrived on time, polite, well prepared with safety, tools & equipment. Conducted the work in a professional manner. Overall an excellent job from estimation through to completion of installation. At all stages Ringwood staff clearly explained the available options & fulfilled other requirements completely. 1st class job, very pleased. left everywhere neat & tidy. We are very happy with the new fence & gate. It’s made a big difference to our garden & has secured the garden for our 2 dogs. Product excellent & workmen too. Very satisfied with the job. Very pleased with the gates and the fitting. Would recommend Ringwood. Superb service from start to finish. Totally professional. I would recommend without hesitation. From the start to finish staff at Ringwood did what they promised on the days they promised and kept us informed throughout – we are thoroughly delighted with the finished product and quality of workmanship. Excellent gates – high quality. Admired already by neighbours! Excellent service and fitting. Excellent service. The fencers were tidy, conscientious and worked hard in very hot weather. Superbly managed and executed from start to finish. John extremely helpful and knowledgeable. Fencers were excellent, polite, proficient and very hard working, they obviously took pride in their work whilst ensuring the job was progressing to my satisfaction. Brilliant! I was blown over by the appearance of the end job – amazing. Precision is what I like & what I was given. Very impressed with the quality of our fence & the highly professional manner in which it has been carried out from start to finish. Neat and tidy, and very helpful workers. Would be pleased to have them back to do any job for me in the future. We are extremely pleased with the fencing and pergola – they look lovely. The standard of workmanship was fantastic – we couldn’t have asked for better. Will definitely be recommending Ringwood. Really pleased with the work, and queries and slight changes we requested were dealt with with no hassles. Great job! Thoroughly professional from start to finish. Thanks. Fantastic job – very pleased with the finished product. Your service has been terrific and the fitters provided a first class service. Many thanks for a job well done. Excellent in terms of product & price performance. Although other firms might be cheaper, the recommendations for other people assured us that it was worth paying more in order to have a good job done by Ringwood. We had to wait a while before you were free to facilitate our order…but the wait was well worth it! What turned out to be a difficult job was done brilliantly. Everybody ‘made it happen’. Fantastic work, very pleased and would recommend to all our friends. From start to finish an excellent service. High quality people and materials. The gate has helped the garden come alive! First class! Would highly recommend Ringwood to anyone. Friendly & professional service. Would certainly recommend you to others. Have had several acknowledgements of nice gates. John Nunnerley (Estimator) went out of his way to meet our requirements and provided a competitive quote, He always found time to discuss any queries and changes. Simon & Rob (Fencers) also went out of their way to do an excellent job and were always willing to meet our requirements. Just thought we would drop you a note to say how much we love our new gates and fence and how impressed we are with the service from Ringwood. Everything from the initial appointment to the installation and clearing up was spot on and the chaps that did the work (Liam) did a brilliant job. We will certainly recommend and use you again! Many Thanks! I was very pleased with the entire enterprise. I have been very pleased with the result and would definitely use Ringwood again. From initial contact to finished product, the Ringwood experience was excellent! Will have no hesitation using the company again, the ‘fencer’ was a perfectionist in every way. Great Job! Fabulous quality fencing. Liked the fact that it was the same both sides, so no-one gets the “wrong” side. Looks amazing. Fencers came on time, got right on with the job, tidied the garden, asked if I was satisfied and left. A really efficient team. I would not hesitate to use Ringwood again. I am delighted with my new fence and gate. The gate has greatly improved the appearance at the front of the house. Thank you. Outstanding work & quality. Simon (the fencer) had a brilliant attitude & work ethic. The service provided from start to finish has been excellent – even starting the job 4 days early – very satisfied. An excellent job. Completed within agreed time frames. Strong Top quality materials. The fence looks good. All materials and the old fence removed from site.